This is the second National Protecting Pollinators in Urban Landscapes Conference. It is jointly sponsored by Michigan State University and North Carolina State University. It will be held in Traverse City Michigan and attendance is limited to 200. Continue to check their website for more information as it becomes available. To celebrate ﻿National Pollinator Week﻿, members of the MSU Department of Entomology host Bee Palooza in the MSU Horticulture Gardens. For people of all ages, this is a free, fun and educational event full of interactive activities centered on the wonderful world of pollinators. On display are demonstration honey bee and bumble bee colonies, examples of wild Michigan bees and how to build bee hotels, plants and gardening practices to support pollinators, as well as pollinators and food. Attendees can make clay seed bombs, go on guided pollinator tours, pet a bumble bee and have their face painted with a pollinator! For more information click here. The Garlic Mustard Challenge is an annual event, where folks across the Great Lakes region are encouraged to protect their local, native ecosystems by pulling this invasive plant. This year, our goal is to collectively pull 200,000 pounds of garlic mustard and to have 50 garlic mustard free sites reported! It's a competition. 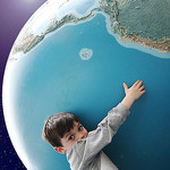 It's a way anyone can have a positive impact on their environment. It's a way of showing our collective impact for improving our world. For more information about the challenge click here. 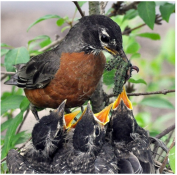 Join Michigan Audubon and Saving Birds Thru Habitat’s Kay Charter for an all-day workshop focused on the critical relationship between birds and native plants. 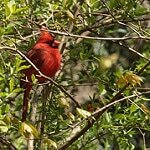 In this workshop, participants will learn why birds need native plants, which native plants are “powerhouses” for birds, and how you can turn your backyard into a natural bird feeder. This workshop will feature an indoor educational session in the morning followed by an outdoor field trip in the afternoon to visit good examples of bird-friendly landscaping. This workshop includes a trip to Wildtype in Mason, where owner Bill Schneider will tour us around this unique native plant nursery and participants will have the opportunity to shop and explore during one of the few days this great resource is open to the public. Lunch is included with registration along with resource packets, and a native oak with a protective tree tube and fiberglass pole. Please dress appropriately for the outdoors as this event will take place rain or shine. Cost: $25 for Michigan Audubon or Woldumar Nature Center members; $35 for non-members of either organization Please visit www.michiganaudubon.org to register, or contact Lindsay Cain at (517) 580-7364 or lcain@michigaudubon.org. The Ingham Conservation District is offering a two-day workshop to learn about invasive species and how to make handmade paper from garlic mustard! At this workshop, participants will learn how to responsibly create invasive species paper from local fine art photographer Jane Kramer. Jane’s latest exhibition, Foreshadowing – Endangered & Threatened Plant Species, uses shadow images of native plant species printed on handmade invasive species paper. Her pieces highlight the fragility of threatened plants and their struggle to survive in a changing environment. Together through two hands-on sessions, participants will be immersed in the paper-making process from beginning to end. 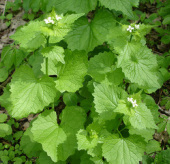 In the first session, we will learn how to identify garlic mustard and hit the ICD trails to pull the plants needed for our workshop. We will then learn how to process plant biomass into pulp. In the second session, we will learn how to make handmade paper and create our own pieces. Cost is $35 per person Registration is limited! Please RSVP to the ICD at erin.jarvie@macd.org with your name and phone number or call the ICD office at 517-676-2290. 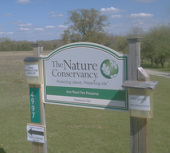 Honor the legacy of Earth Day by giving back to nature with Fenner Nature Center and their community partners! For more information click here. The MSU Science Festival is an amazing, multi-day series of events that highlight the fascinating, though oft overlooked, fields of science, technology, engineering, arts, and mathematics (a.k.a. STEAM). The Festival features talks, demonstrations, tours, open houses, guest speakers, hands-on activities, and much more! There are several topics on April 15th (and throughout the festival) that might appeal to Wild Ones members including: MSU Sustainable Storm Water Practices, Explore the MSU Herbarium and Greenhouses, Edible Plants in and for the Yard (Peter Carrington), Tour of MSU Campus Trees, The Dirty Little Secrets of Trees (Baker Woodlot) and much more! For the full schedule of events visit their website by clicking here. Recycle Rama is an annual recycling event that takes place at the Ingham County Health Department. 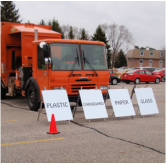 A wide range of materials and items are accepted and it is one of the largest single day collection events in Michigan. Volunteers are also needed to help with the event. Click here for all the details. One of a series of "Curious Gardener" workshops offered by the MSU Horticulture Gardens’ staff. Native bees are becoming increasingly important as pollinators. Because most native bees are solitary, they do not swarm, and rarely sting. You can attract native bees to your garden by creating nesting sites for them called bee hotels. 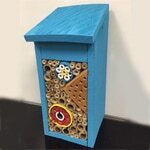 During this hands-on workshop you will learn about native bees, then build and customize your very own native bee hotel. Presented by Daedre McGrath, Trial Garden Manager. $30 for Members/$35 for Non-Members, parking not included. For more information, and to register, click here. Join Vern Stephens, owner of Designs By Nature native plant nursery, to learn about designing and maintaining a native garden on Tuesday March 28 from 7-9 pm. There is a $15 fee. Please register ahead. The registration form is available here. 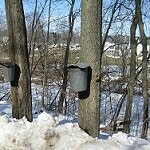 Visit Fenner Nature Center on March 18th and learn how real maple syrup is made. Enjoy a delicious "Flapjacks for Fenner" pancake brunch! Get all the details here. 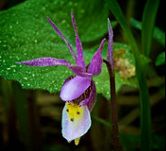 The Michigan Wildflower Conference is designed for persons who are interested in Michigan native plants and their habitats. The schedule and registration forms will be posted ﻿﻿here﻿﻿ as they become available. The Stewardship Network is pleased to bring you two great days of informative presentations, networking sessions and workshops that will focus on the Science, Practice & Art of Restoring Native Ecosystems. Join us for a great line up presentations; connect with natural areas professionals, volunteers, and researchers with decades of experience as well as students and newcomers to the field. Click here for all the details. 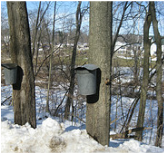 Visit Fenner Nature Center on March 19th and learn how real maple syrup is made. Try maple cotton candy or enjoy a pancake brunch! Get all the details here. Volunteers are needed to help maintain the gardens at Potter Park Zoo. There is a native plant garden, a butterfly garden and other areas that need regular weeding, pruning, mulching, etc. To get involved, go to the Potter Park Zoo Volunteer Web page, fill out and turn in the application. Garden work days are currently scheduled for July 9 & 23 from 5:30-8:00 pm (weather dependent). The Zoo's Volunteer Coordinator will let you know where to meet and what to bring once you have registered as a volunteer. The Stewardship Network is coordinating efforts to pull more invasive garlic mustard than ever before. The Garlic Mustard Challenge is a collaborative program geared towards restoring and protecting native ecosystems in natural areas. This year the goal is to collectively pull 200,000 pounds of garlic mustard, dames rocket, and narrow-leaf bittercress. We can do it with your help! A fun event for the entire family including exhibits on bees, plants and pollinators. The bumble bee exhibit will include a live observation colony. At the honey bee observation hive, Michigan bee keepers will be on hand to talk about what it takes to keep honey bees. 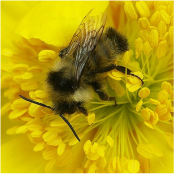 Information will be available for planting gardens to support pollinators and how to build a native bee hotel. There will be even more exhibits and fun activities for kids and adults, including face painting. For more information click ﻿here﻿. The Lansing Board of Water and Light has sponsored Adopt a River events since 1994. Since the program began, volunteers have cleared literally tons of litter and junk from our rivers and river banks. BWL is now partnering with Impression 5 Science Center to hold two river cleanups a year. 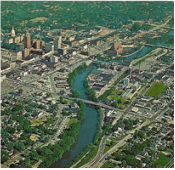 Participants will receive a picnic lunch along the Grand River and free admission to Impression 5 Science Center the day of the cleanup. The Michigan Arbor Day Alliance (MADA) is a coalition of organizations and agencies dedicated to the promotion and celebration of Arbor Day throughout Michigan. They organize the State of Michigan Arbor Day celebration at Potter Park Zoo in Lansing. For a list of additional Arbor Day events near you go to their community calendar. 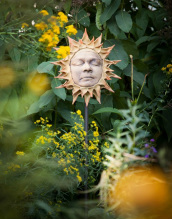 Wild Ones encourages everyone to plant native trees which support birds, butterflies and other wildlife. 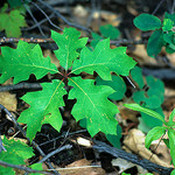 For a list of the top 10 woody plants for wildlife click here. Arbor Day Celebration: "Plant a Tree, Plant Hope"
Hosted by the Meridian Garden Club. Brief ceremony at 10:30 a.m., activities for all ages, tree identification booklets and free seedlings with potting materials for children, music, refreshments and an opportunity for children to plant a catalpa tree. The public will be able to purchase catalpa yearlings ($2) with growing instructions. Honor the legacy of Earth Day by giving back to nature with Fenner Nature Center and their community partners! Explore the local flora and fauna alongside biologists, hobbyists, and students during the annual “Bioblitz.” It's also Fenner's biggest stewardship workday of the year, with a variety of volunteer projects available to restore habitat and maintain the park. Did you know your garden - regardless of its size - has the power to sustain native wildlife? Learn how when Pierce Cedar Creek Institute welcomes renowned author and sustainable gardening expert Doug Tallamy for Restoring Biodiversity at Home: Why Your Garden Matters. Following a strolling tapas lunch, Tallamy ﻿﻿ will discuss the ways in which landscape plants can have a positive impact on local biodiversity. Tallamy, Professor and Chair of Entomology and Wildlife Ecology at the University of Delaware, won the Garden Writer's Association's Silver Medal for Bringing Nature Home: How You Can Sustain Wildlife with Native Plants. Following the program, Tallamy will be available for book signing. Tickets are $40. All proceeds will help Institute staff and volunteers install a native prairie planting on the Education Building berm. Register by clicking here. The MSU Science Festival is a free multi-day celebration of science, fueled by some of the basic elements essential to scientific inquiry: curiosity, wonder, and discovery. There will be events for the whole family to enjoy, on topics ranging from the ordinary to the extraordinary. Topics that might appeal to Wild Ones members include Bird Banding, Birds and Climate Change, How do Species Interact within Forest Ecosystems, Michigan Turtles, Michigan Bird Sounds, MSU Bug House Open House, Spring Ephemerals at Beal Garden, Managing Michigan Tree Maladies, Plants Toxic to People and Pets, Spring Discovery Walk, and much more! This workshop is sponsored by the Gratiot Lake Conservancy and taught by Botanist Janet Marr. Workshop activities will take place mostly out-of-doors. Visits will be made to local wetlands including swamp forests, shrub thickets, and more open community types such as marshes and fens. Native wetland plant species, including more difficult groups (sedges, grasses, rushes, aster relatives), will be identified. Selected non-native invasive wetland species will also be identified. Characteristics of selected plant families will be discussed, botanical terms will be defined, dichotomous keys will be used when appropriate, and wetland community types will be described. Designed as a teaching and learning space, Cheryl English's garden includes over 200 species of native plants, ranging from Spring ephemerals to trees, shrubs and vines. Take advantage of this opportunity to become acquainted with the beauties of our native flora. The day will also feature at least one hands-on workshop (pre-paid registration required), prints and note cards by Notable Greetings, hypertufa garden furnishings by Farmbrook Designs, Black Cat Pottery’s garden-inspired pottery and other locally-sourced creative products. A limited selection of seasonally-appropriate native plants and a butterfly release will take place at the Summer Tour. No fee or pre-registration required for the tour. For more information visit the Black Cat Pottery website by clicking here. Sponsored by the Stewardship Network Mid-Michigan Cluster. Leader: Chuck Pearson; Cost: Free; participants provide their own sack lunch. Register in advance, as space is limited. Click here to register or call 734-996-3190. This high quality fen has been restored by the Nature Conservancy over the past 10 years. Invasive species like glossy buckthorn and Asian honeysuckle were once dominant, but through volunteer efforts they have been controlled on the property. Volunteers have cleared 454 acres of invasive shrubs and trees. TNC staff has cleared 171 acres, and there are only 75 more acres to clear. This workshop includes two options for participants: a volunteer session with a flower tour, or just a tour of the successful invasive species removal projects. Click here for all the details. * From downtown Tecumseh's intersection of M-50 and Evans Street, head south on Evans 2.1 miles to a small drive on the left (east) side of the road (road marker 5909). Note: Evans St. becomes N. Raisin Center Highway south of town and the small drive is located 0.1 miles south of Ives Road which intersects on your right (west). If N. Raisin Center Highway begins to curve to the left, you have gone too far. * The small drive goes over the railroad tracks. Cross the tracks and park in the field at the top of the hill. Michigan Nature Association has wildflower hikes scheduled at many of their nature sanctuaries around the state from May through October. 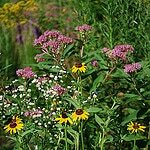 For those living in mid-Michigan, try the informal walk through the prairie fen at Lefglen Nature Sanctuary on July 12th. 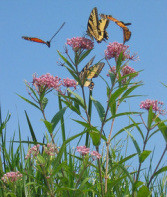 Participants will see how wildflowers, butterflies and other insects have responded to management of invasive species. For more information go to www.michigannature.org/wildflowers . 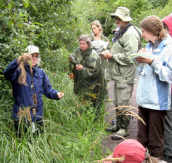 This botany workshop, sponsored by the Isle Royale & Keweenaw Parks Association (IRKPA) and taught by botanist Janet Marr, is open to anyone with beginning/intermediate knowledge of plant identification who is interested in learning to identify the early summer native flora of this species-rich Lake Superior island.